Okay, so you want to be on the first place on Google, but according which words? Defining keywords and key phrases is often underestimated but it is extremely important in the process of SEO optimization. 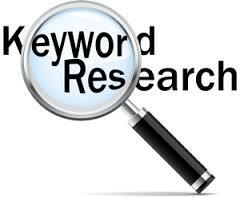 The choice of keywords is not always an easy task and it requires a serious research. Which one of the following searches is most likely to bring you a unique customer: “tires”, “Goodyear auto tires” or “Goodyear Efficient Grip Performance 195/65”? Obviously, the optimization due the third word phrase is going to attract more targeted auditory and it is most likely to lead to an actual sale when your customers find your website right after that kind of research. We are going to inquire your business specifics, users adapting and the competitive behavior. Based on this analysis we are going to select the most appropriate keywords and key phrases, in order to attract to your site the people who are searching to buy your products and services.